Pervasive acquisition of multiple physical quantities using wireless smart platforms. 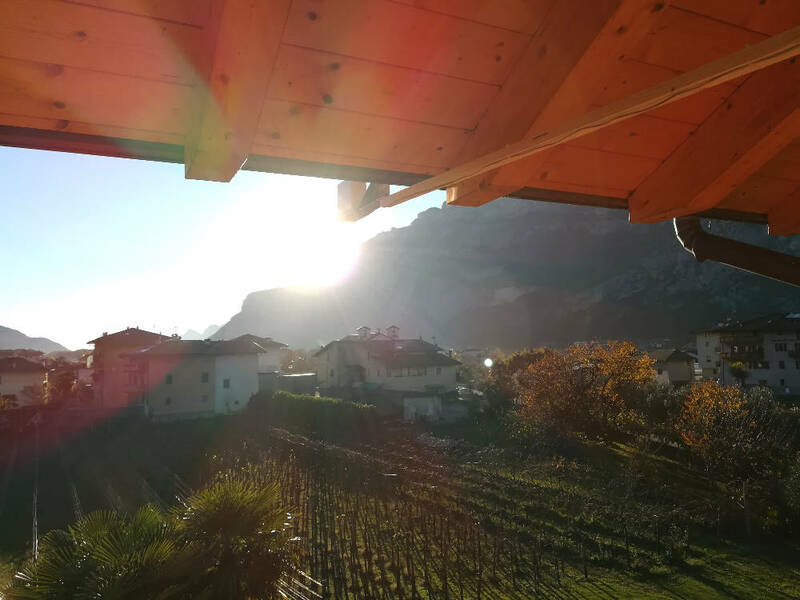 Continuous update of environmental status through remote connection and network control. Data mining strategies and custom algorithms for data analysis, learning, and optimization. 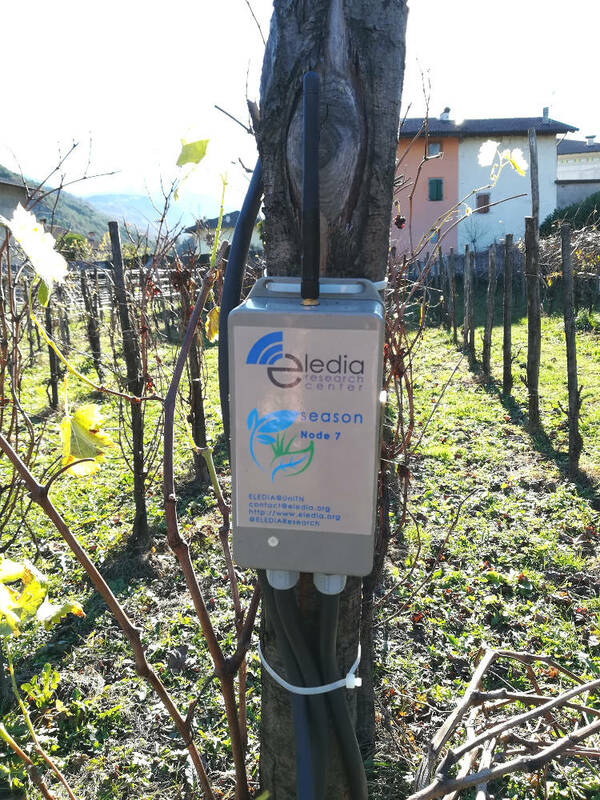 SEASON enables the environmental monitoring by means of the Wireless Sensor Network (WSN) technology to study environmental processes. The ground in-situ wireless sensors are able to capture the main changes in the environment thanks to their sensing heterogeneity. Wireless sensor networks basically consist of large amount of sensor nodes deployed in large physical area to monitor and detect the real-time environmental activities. The sensors cooperatively collect the data such as temperature, relative humidity, brightness from the surroundings. The available informations create exciting opportunities for large scale and data intensive applications aiming at supporting intelligent decisions of end-users looking at data readings and patterns. SEASON offers a global-scale framework for sensed data sharing as well as sensor observation services to close the gap between the scattered WSNs and the Sensor Web application layer. Such real-time sensor acquisitions are the fundamental inputs of data mining techniques for extracting the useful information through data clustering, pattern matching, and the detection of sensor data irregularities. 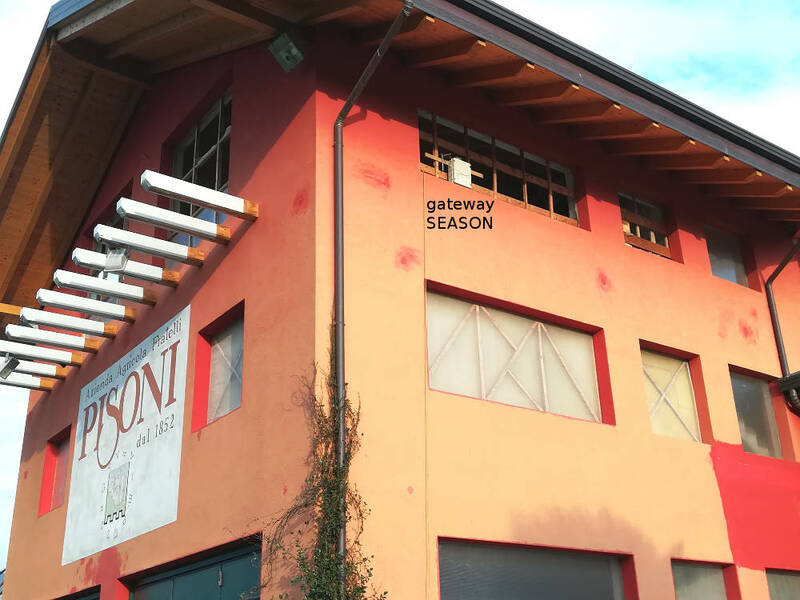 Gateway Season installed at Cantina Pisoni, Trento, Italy. Installation of the first node on the south corner of the field. 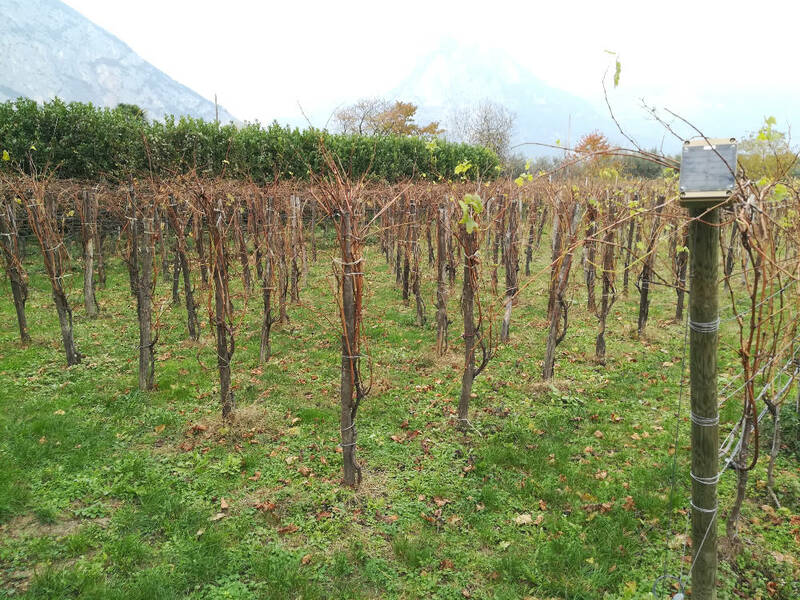 View of Node 1 close to the "historic vineyard" of Cantina Pisoni. Node 2 installed close to the Cantina Pisoni along the north side of the field. .Node 3 installed at the farthest corner of the field respect to the gateway position. Detail of the irrigation system installed in the monitored field. 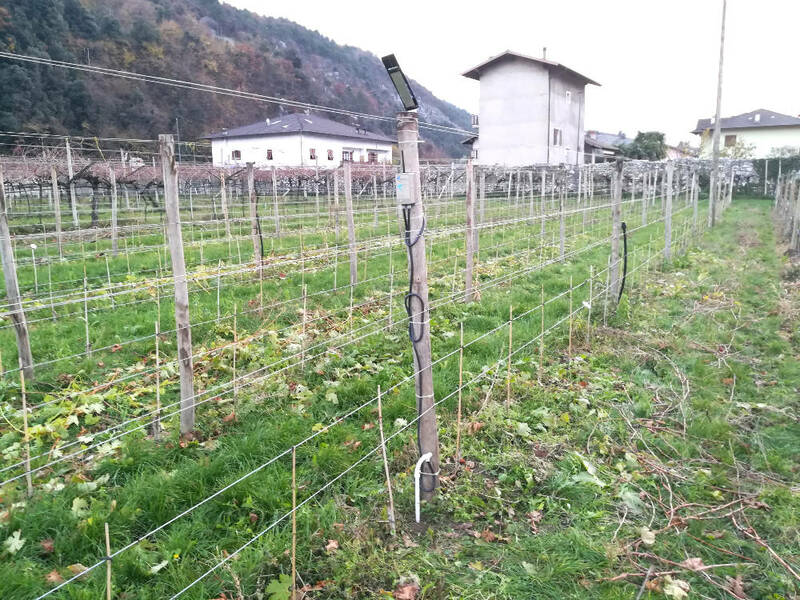 Installation of a probe for soil moisture and temperature measurement. 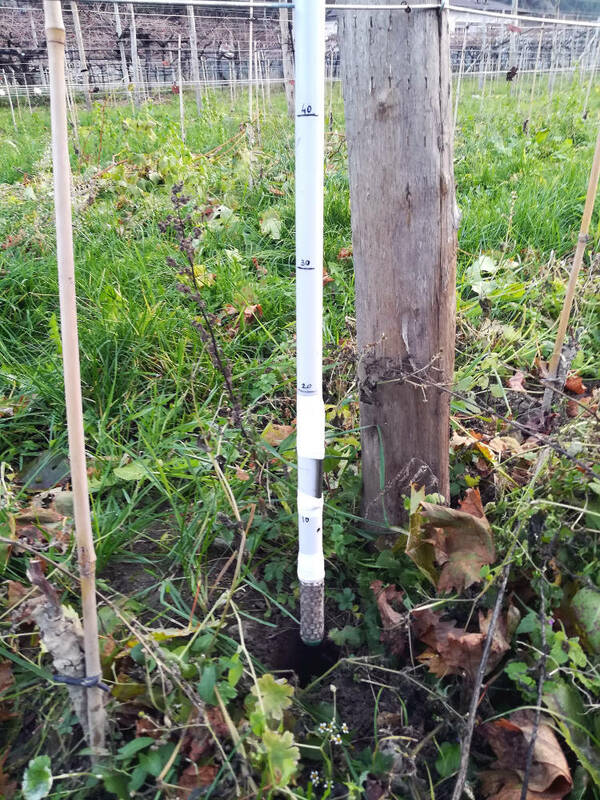 .Soil probe of Node 8 installed at a depth of 40 cm for soil moisture and temperature measurement. 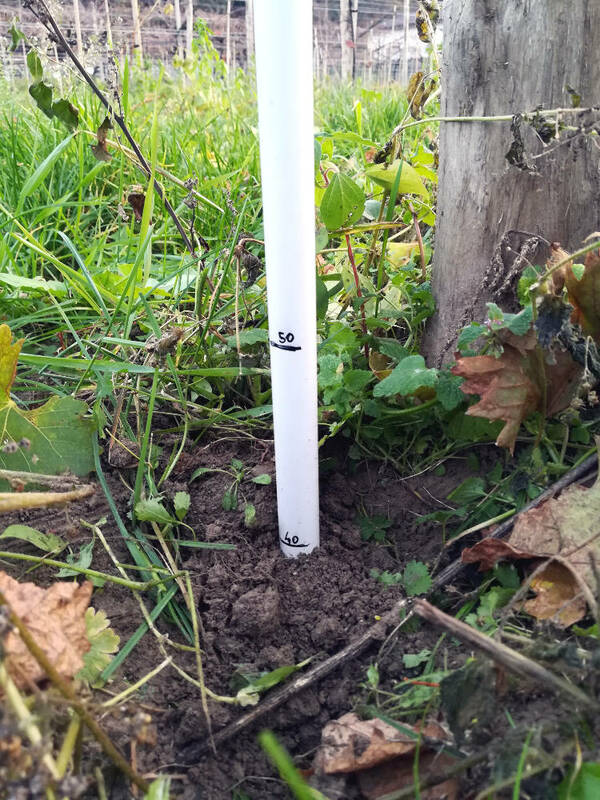 Node 8 equipped with one soil moisture/temperature probe installed at 40 cm depth. 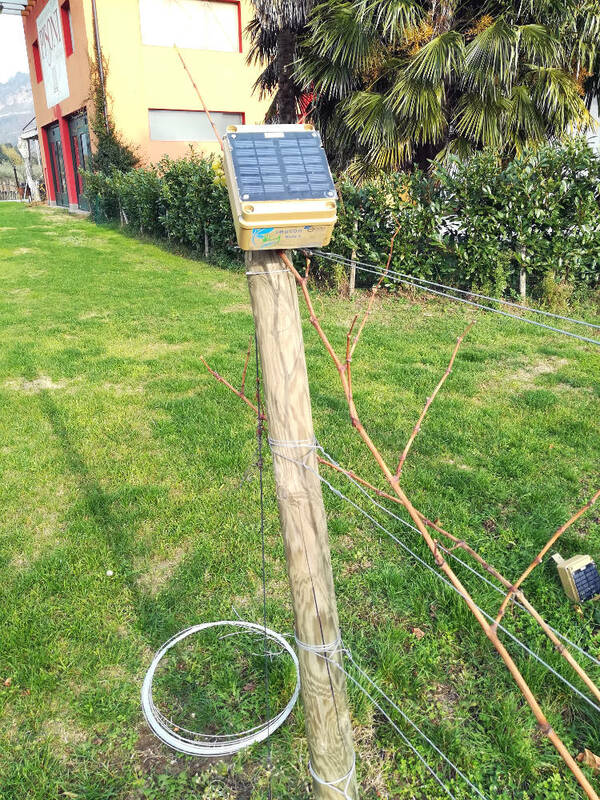 Node 8 with solar panel and one soil moisture/temperature probe installed at 40 cm depth. 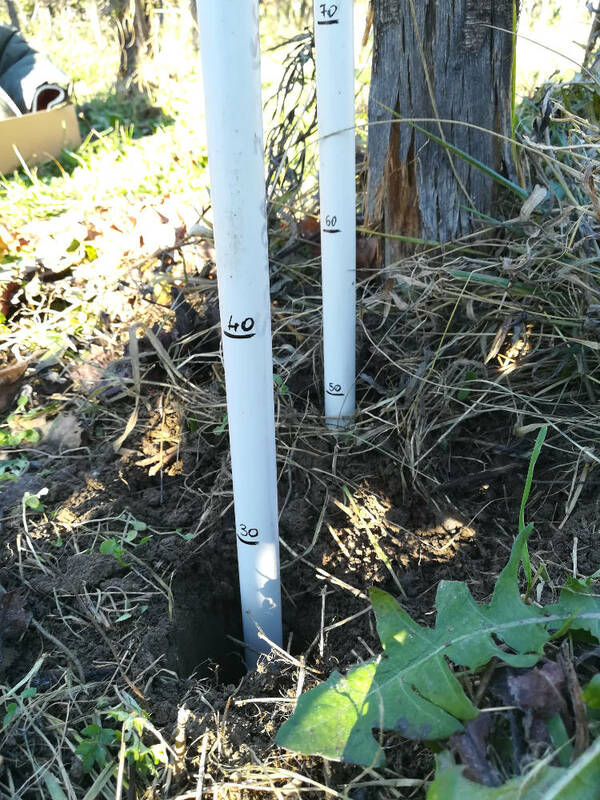 Two soil probes installed at 30 cm and 50 cm depth for the measurement of vertical variability of soil moisture. 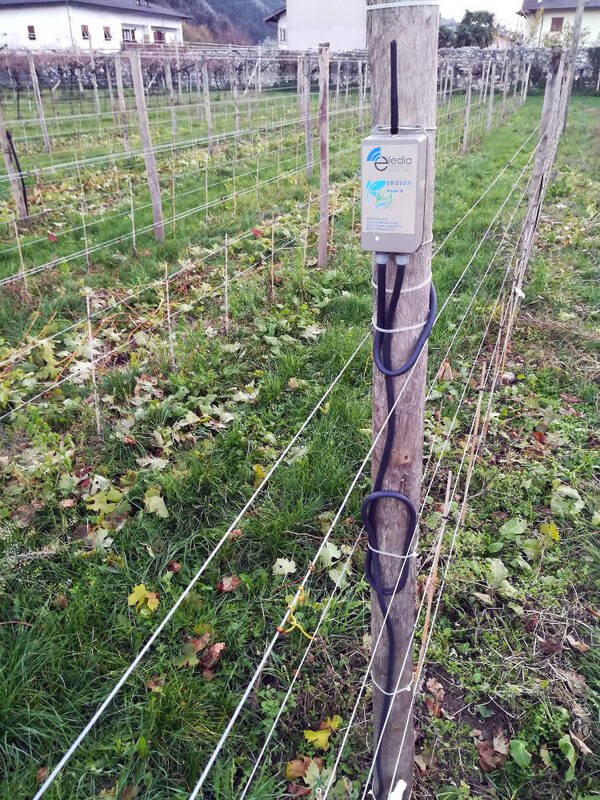 Node 7 equipped with two soil moisture probes installed at 30 cm and 50 cm depth. 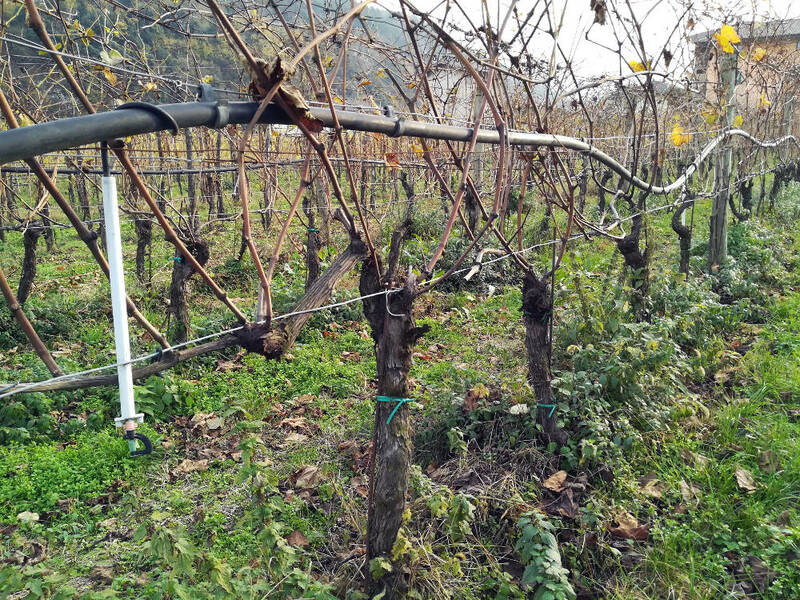 Detail of Node 7 installed in the "historic vineyard" at Cantina Pisoni. 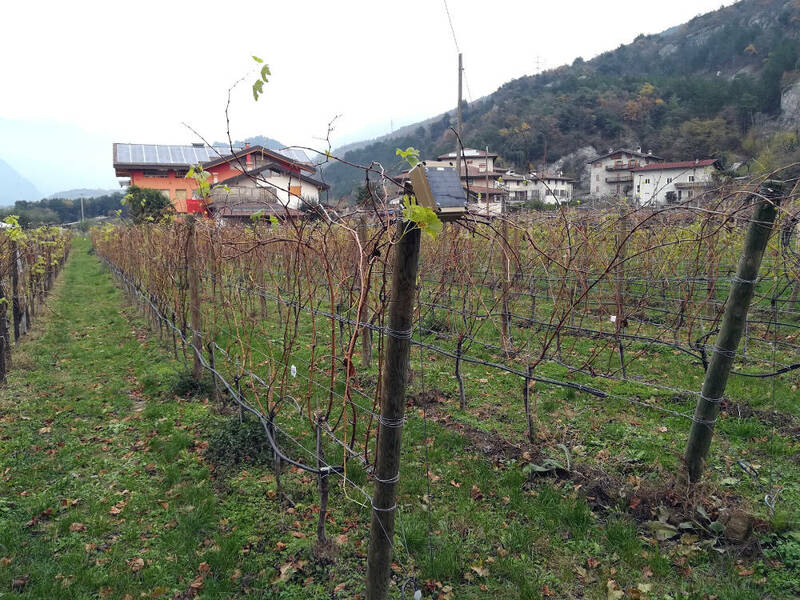 Gateway season installed at Cantina Pisoni in front of the monitored vineyard. 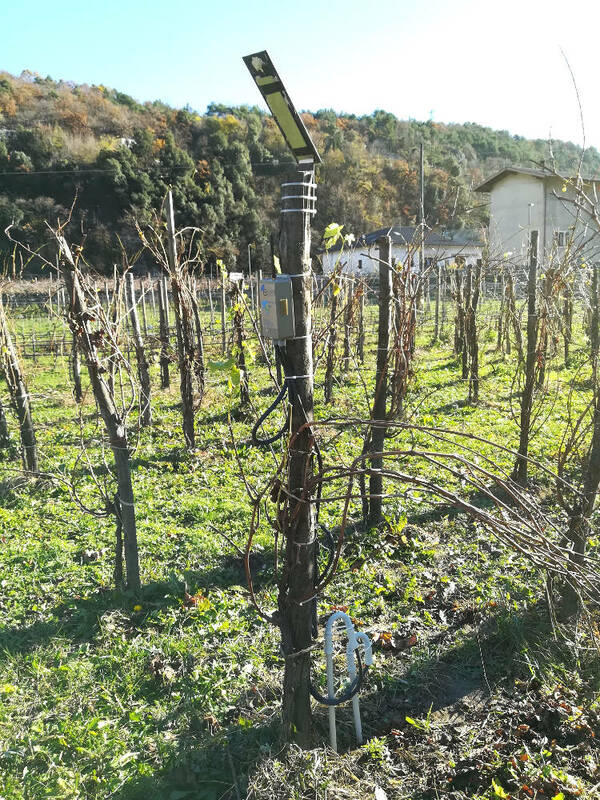 Pluviometer sensor connected to the gateway for rain level measurement. 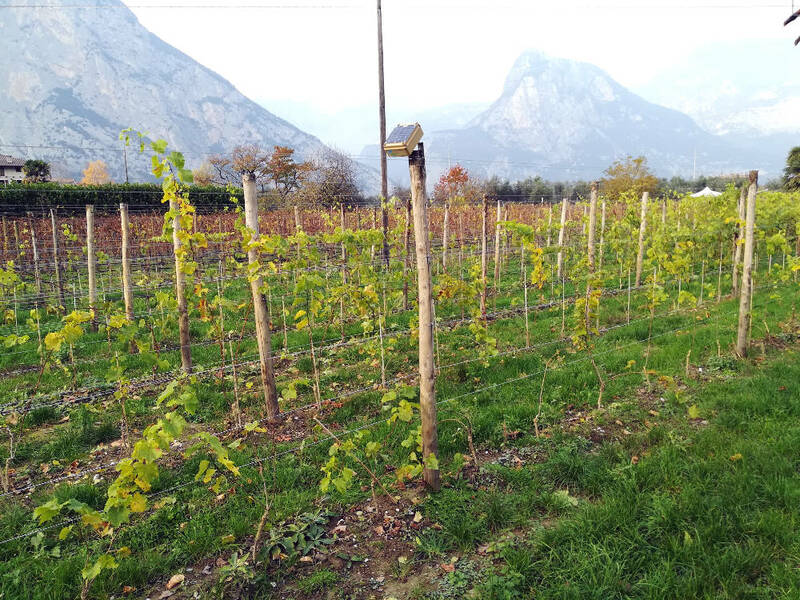 B. Majone, F. Viani, E. Filippi, A. Bellin, A. Massa, G. Toller, F. Robol, and M Salucci, "Wireless sensor network deployment for monitoring soil moisture dynamics at the field scale," Procedia Environmental Sciences, vol. 19, pp. 426-235, 2013. F. Viani, A. Polo, M. Donelli, and E. Giarola, "A relocable and resilient distributed measurement system for electromagnetic exposure assessment," IEEE Sensors Journal, vol. 16, no. 11, pp. 4595-4604, Jun. 2016. F. Viani, P. Rocca, G. Oliveri, and A. Massa, "Pervasive remote sensing through WSNs," EuCAP 2012, Prague, Czech Republic, March 26-30, 2012. F. Viani, E. Giarola, A. Polo, G. Vannuccini, L. Longo, and A. Massa, "Decision support system for museum management through distributed wireless sensing," Museum and the Web (MWF 2014), Florence, Italy, February 19-21, 2014. L. Paucar, A. Diaz, F. Viani, F. Robol, A. 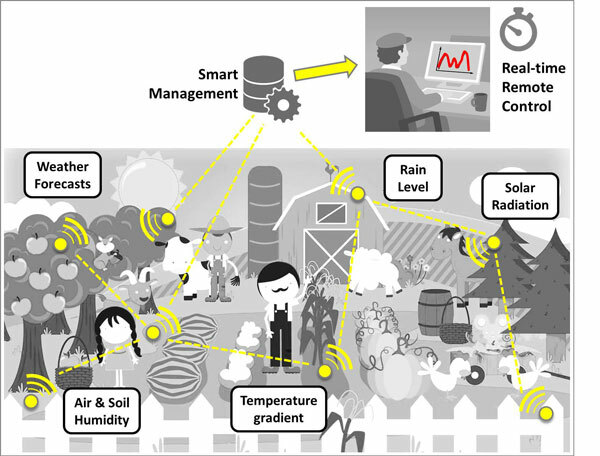 Polo, and A. Massa, "Decision support for smart irrigation by means of wireless distributed sensors," Proc. 2015 IEEE Mediterranean Microwave Symposium (MMS’2015), Lecce, Italy, November 30 – December 2, 2015. 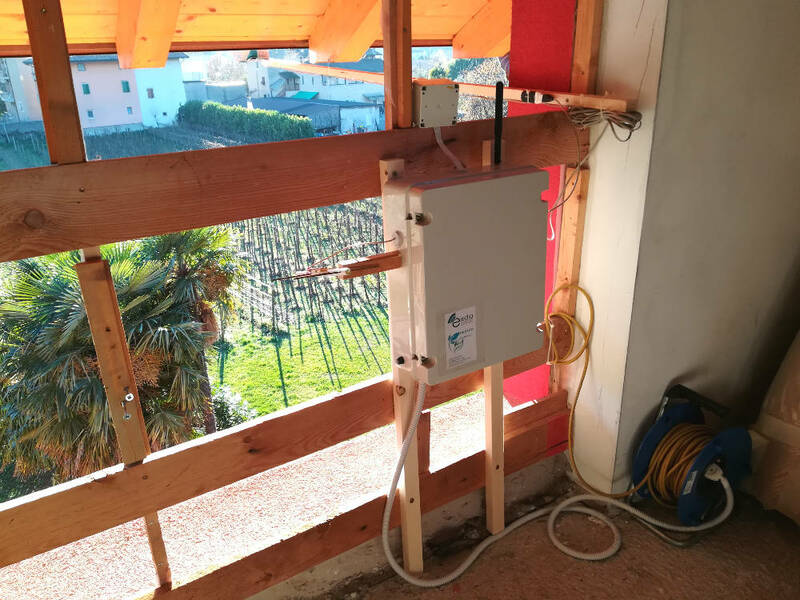 F. Viani, "Experimental validation of a wireless system for the irrigation management in smart farming applications," Microwave and Optical Technology Letters, vol. 58, no. 9, pp. 2186-2189, September 2016.
opens exciting applications and next-generation services.